The Thanksgiving holiday week is one of America’s favorite times of the year. During the day we eat our turkey, play and watch football, and take advantage of all the Black Friday shopping sales. But the Thanksgiving week and weekend is also known as a popular nightlife time. In fact, the Wednesday before Thanksgiving is the single most popular bar night of the year, and the Friday and Saturday after are not far behind. And whenever there is a party, you can be sure that police are not far behind to come crash it. The Maryland State Police recently made an attempt to crash the holiday week party by ramping up patrols across the state’s highways. Police were specifically targeting the roads in and out of popular nightlife spots and conducted almost 9,000 traffic stops over the holiday weekend. Out of the 9,000 traffic stops, nearly 100 resulted in an arrest for DUI. Close to 60 people were arrested or cited with drug offenses by state troopers, and over 100 were arrested for other crimes. Police also reported that 3 guns were confiscated during the traffic stops. The Maryland State Police ramped up their holiday patrols in all 22 barracks across the state, with orders to look for aggressive drivers, speeders, drivers not wearing their seatbelts, and impaired drivers. The state police did not conduct a DUI checkpoint over the weekend, but instead relied on a more aggressive patrol initiative. https://www.baltimorecriminaldefenselawyerblog.com has previously posted articles about the futility of DUI checkpoints in the state, and the recent holiday patrol proves this point. Over 1 percent of the drivers that were stopped by police patrols over the weekend were suspected of drunk driving. Past Maryland checkpoint have resulted in about one half of one percent of drivers being suspected of drunk driving. This is not to say that the ramped up road patrols are without flaws, but rather to say they are at least more effective than checkpoints. The aggressive road patrol initiatives always present one major issue. If state police really believe that a more aggressive road patrol initiative will crack down on DUI and reckless driving, then why don’t they do it all the time? The majority of the time when an average driver sees a state trooper on duty, they are parked in some conspicuous location on the side of the road with a radar detector pointed at oncoming traffic. This does nothing to combat aggressive driving or driving while under the influence because these stationary troopers cannot observe an identifiable driving pattern. It is hard to believe that preventing drunk driving and aggressive driving is only really important around the holidays such as Thanksgiving and New Years Eve. It should matter all year round, and rather than hiding in the shadows waiting to write a speeding ticket, the troopers could consider taking their cars out of park and patrolling our highways. 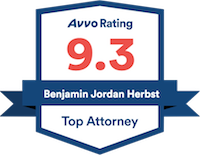 Benjamin Herbst is a Maryland DUI lawyer who also specializes in drug crimes and traffic citations. Contact The Herbst Firm for a free consultation about your case.